ORLANDO, FLORIDA- Google recently pushed out a new change to its algorithm that SEO experts on major SEO blogs are calling Panda 20, so if you’ve seen a major dip in your rankings over the last couple of weeks, this may be why. Barry Schwartz, the news editor for Search Engine Land, posted that Google confirmed with them on Sep. 27 that the 20th Panda algorithm update was in the process of being rolled out. The latest reports indicate that it is a fairly major one. Turns out that minor weather report may have referred to Panda 20, an update that actually impacted 2.4 percent of English search queries in a way that normal search engine users might notice. Cutts may have been talking about another update that was pushed out over the same weekend with Panda 20, which makes it difficult at this point to determine which update caused what until Google shares more details, or more data is in from SEO services experts. 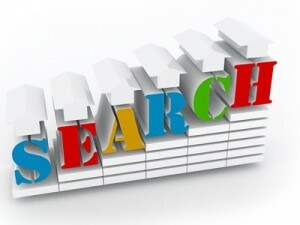 The official announcement from Google came late Friday afternoon that an exact match domain update would eliminate the chance of a low-quality exact match domain from ranking well in Google. In a statement that Cutts sent to Search Engine Land, he emphasized that this was an algorithm update; not just a data update like previous changes to Panda. The original Panda update was back in February 2011. There have been periodic adjustments and it is updated almost monthly, so changes are subtle and mostly go unnoticed, according to Cutts. For a summary of previous 19 Panda updates, including dates and what they did, check out this list compiled by one of our guest writers. What Are EMDs & Why Are They In The Crosshairs? Exact-match domain names, which also go by EMDs, are websites that use a domain name that contains the exact keyword or phrase they are targeting with their search engine optimization. For instance, if you’re looking for the best shoe deals, you may search for “best shoe deals.” In this case, www.bestshoedeals.com would be an exact match. EMDs have been considered a catalyst in improving the SEO ranking of a website, although many websites rely heavily on EMDs without producing any high-quality or relevant content. That is precisely why Google’s webspam fighting team has targeted them. Low-quality websites usually have lots of duplicated content and what original content there is typically has little value to the reader or is loaded with a lot of advertisements. They often have a poor, unnatural link profile, including links from unrelated or suspicious websites. The number of incoming links that use anchor text can also be an indicator of a low-quality site. Why Did My Site Get Hit? If you have an exact-match domain website, you don’t need to panic. Panda 20 doesn’t mean you’re doomed to fail. Unfortunately, legitimate businesses that have worked diligently can become unwitting casualties of these types of updates. But more often than not, there is something wrong or missing with their search engine optimization techniques. If you’re not sure what you need to do to recover from the update, consider investing in a few hours of SEO consulting services with one of our SEO experts, who can give you the information you need to get back in business. What impact have you seen on search results since this latest Panda update? Share your experience. my website is also suffering due to this update. How can I recover? Now it seems really tough to achieve ranking on google after EMD & Penguin 3 updates. if me start new domain ? Google crawl your website frequently & show your website for the google visitors on search if and only if your website is free from harmful vulnerability. So keep your site clean. If you redirect a penalized site to a new domain then the penalty could be easily transferred. You need to find out \”WHY\” your site was penalized and then fix the issue. Otherwise, you would risk getting yourself penalized again and again. I hope this answers your question. After rolled out algorithm, change will reduce low quality and exact match domains are penalized and ranking goes down. so build link in quality sites and put unique content in a website. Good piece Ali.. As somebody working on a start up, I have to say this is great news! I would rather be competing with people putting out quality content, then with people who use tricks to get their website ranked.. If for example the domain demo.com get penalized by Google Panda Or Penguin and its rank fell down or its visit from Google become less than usual, if the administrator of the site change the Domain of his site in Google Webmaster Tools and make it demo2.com is it possible that the penalty transfer to new domain or not? Is it a good way to cheat Google Panda or Penguin? Is it possible for any changes which administrator of the site make to be infected by penalties for the prior ones? After EMD launched, people has stopped to register keyword rich domain :). Last 15 days, there were two major updates has been released (1)EMD & (2)Penguin 3. I read on many discussion/board to losses of traffic. How about NOT using seo for google or set your mind to other things than ranking in google. Why not focus on media Buys, at least this strategie does not change much over time. and it is cheaper than you think. My website has a sever hit by this update….visits got to %10 after the update…. completely useless now it like almost if it was sandboxed….. I believe that there should be more than only lowering the effect of EMDs with Google\’s latest Algo update, there should be also some changes that have something to do with websites trying to rank high for the local searches that they don\’t have a real physical local address in. Thanks Vonya… So maybe it was Panda 20 that hit our sites. We do high quality SEO and never try to cheat Google. That\’s why we see an increase in our ranks every time there is a Google update. While most legit businesses are safe from being targeted, there are a certain few where the cracks slip through. This is one effect from which SEO tries to prevent from happening. Internet sales would be high if people would learn the basics of SEO beforehand. I have seen an increment in search engine traffic. Love to do the business with Google. Although it is not my site EMD worst affected by this algorithm. 1 keywords from page 4 fell to the page. I do not understand the reason for this decline. The current search results appear less diverse. I am seeing the same type of results on page one for most search terms. For example, if I am looking for a particular bank by entering the words found in the name, I get less diverse results than before. This is a problem when what the Google algorithm delivers is not what I am looking for, because now I have to go to page two or three in the results to find what I want. Before, page one was filled with different results, so I rarely had to go beyond the first page to get good answers. My site is also suffer by this updates. Google is taking over the internet. Its time for a revolt. Maybe a new search engine is already evolving that does not infiltrate our computers and control what we see or where we go on the web..